I just have a quick question about work visas: What would an American non-jew need to obtain a work visa in Israel? The best way to obtain a work visa is to either become sponsored by an Israeli employer or be in relationship with someone Israeli/jewish or have a distant family who resides here that may sponsor you as well. Connections within Israel are very important. If you have’nt been to Israel as of yet, I would come here as a visitor and maybe volunteer in a kibbutz or in a non profit org to establish connections..I can help the best I can if you do decide to come. Hi, I have just completed the process of obtaining a work visa for Israel through my partner. I am currently waiting to go to the ministry to pick it up, hopefully within the next two weeks. I was wondering how difficult it will be for me to find work. I have a BA in creative and perfoming arts and a masters in Dramatherapy. I have spoken to a couple of drama therapists in Israel and have been told that joining YAHAT might be difficult. I was also told finding work in English as a therapist could prove difficult. I was wondering if you have any information that could help with this process or anyone that I should contact regarding work within the therapy sector. I will be based in Netanya and hopefully starting Hebrew lessons when I arrive. Thanks for your comment and kol hakavod for coming to Israel!-). 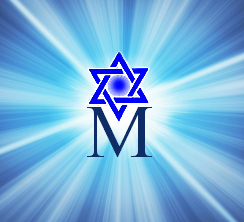 You are welcome to send Tanya at TanyaMomentumIsrael@gmail.com your C.V and she can assist with employment and determine what is available , either before or upon your arrival..
Yom tov and best to your success ! Hi, I am a non Jew looking to move to Israel in the next 3-4 months but i don’t know anyone. I was looking for information on a Kibbutz as a volunteer while I learn Hebrew in anticipation of joining the IDF. We at Momentum Israel are very happy to inform you of our unique Kibbutz and other Volunteering programs available for several months. Simply visit our new page at https://momentumisrael.com/volunteer/ fill out the simple short form at the bottom section, and we’ll respond with all available options. Greetings from garden city Singapore! May I know the title and singer of this song? The song that is played on the player on this page “Find Employment in Israel”? Its very nice! My son received the Holy Spirit just now when we listen to this song and pray just now! I am wishing you a happy holidays to you and your family, and may you have the best years ahead. I have been actively volunteering during my part time in community service development activities here in my country through Rotaract Club. I would like to extend the same gesture to Israel, however, I would possibly like to do this after securing employment since even over here I do this as a part time activity. How do I go about joining the Kibbtutz programme and also securing employment in Israel? Kindly advise. Securing employment in Israel may be complicated unless you are sponsored from within. You may be able to get connected with people by being in the country – a Kibbutz program may be an excellent way to do this because once you’ve obtained a volunteering Visa, it is possible to have it extended for a long time. Contact Tanya at TanyaMomentumIsrael@gmail.com and she can help with that and perhaps may be able to find a sponsor for you. Hello I want to move to Israel. My sister already lives there and is Jewish. She did gioer because we cant find the proof that my great grandmother was jewish. She became “catholic” when things changed before the war. All documents are lost during this war. My question can my sister become my sponsor so I can move to Israel and do I have to do gioer to to become “jewish” again? Thanks for your comments- Marie, It will be also necessary for you to do Gior (Conversion). Family members cannot sponsor other family members if they are not Jewish. However, the good news is that we can help facilitate your gior or there are other options for you stay in Israel for long term. You can contact Tanya at TanyaMomentumIsrael@gmail.com for assistance in this.